The NASC President, Kevin Ward’s ‘New Apprenticeship Challenge’ to create 400 scaffolding apprentices in his two year tenure has been achieved – three months before the November 2015 deadline. Mr Ward will be announcing the good news and providing the final apprenticeship numbers – along with the grand total figure of money raised for the chosen Teenage Cancer Trust (TCT) charity – at the confederation’s AGM in Leeds in November, two years on from the scheme’s launch, following Mr Ward’s inauguration as President in November 2013. Mr Ward, who was once a scaffolding apprentice himself, said: “I am absolutely thrilled that we have reached the goal of 400 new scaffolding apprenticeships, and earlier than anticipated too. 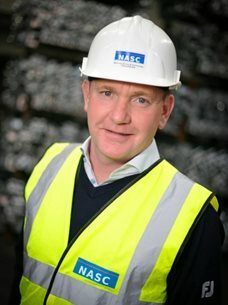 Apprenticeships are the lifeblood of the industry and I am pleased the NASC member companies are doing their bit to fill the skills gap in the construction industry, whilst also raising much needed funds through the challenge’s sponsors for Teenage Cancer Trust, a great cause close to my own heart. I am very grateful for the generous support of our members on both counts. “Bringing in all this essential new blood is vital for the scaffolding sector and I could not be more delighted at the response from NASC member companies, in terms of the number of new CISRS apprentices being taken on. I wish them all a long and rewarding career in our proud industry. For details and updates on the New Apprentices Challenge, please visit the NASC website here. And for more information about becoming an NASC member, or to find out more about TG20:13 and the NASC – the scaffolding industry trade body organisation – please visit www.nasc.org.uk or email: enquiries@nasc.org.uk.